Debut albums often get the reputation that they are too polished and overly scrutinized by label superiors who "know best" to be considered a true reflection of the artist. Some debuts don't deserve the rep, and one of them is Lili K's first full-length outing, Ruby as it adheres to the principles of soul and jazz, being about as spontaneous, urgent and raw as the genres were geared to be, with all the freedom for Lili K and her vibrant personality to improvise and move within its wide open spaces. 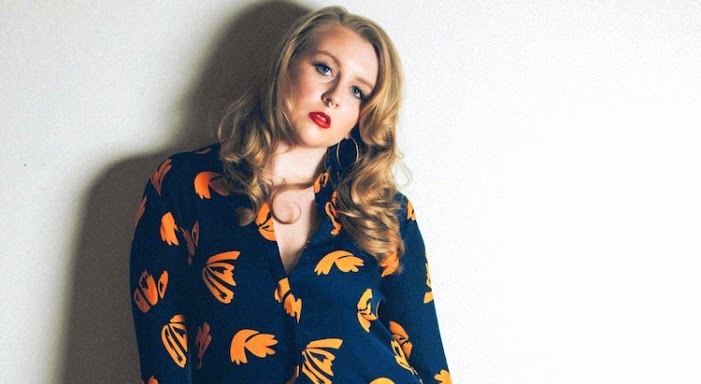 Milwaukee-born, but musically bred in Chicago, Lili K came of note through Chicago's hip-hop scene, from sharing the stage with Dwele, Vic Mensa, Musiq Soulchild, and Chance The Rapper, to releasing a series of EP's with friend and writing partner, Peter Cottontale. Out on her own, her rare 'ruby' of a voice is retained, but Lili K's ear is clearly trained to the past as Ruby taps into Chi-Town's rich history of the revolving door of soul and jazz disciples a la Etta James, Curtis Mayfield, and Betty Everett, but with a twist of lime, she reinterprets these sounds for a modern age. Sticking to the simplistic backing of a live band as accompaniment, with just the four-piece of drums/percussion (Myron Cherry), keyboards (William Kurk), guitar (Cullen Bogen), and bass (Matthew Skillz), and the occasional flutterings of brass and string work, the result reaches back effortlessly. Each warm sound filling the open space, making it far from claustrophobic with Lili K flitting and flirting around the grooves with her sweet vibratos and vocal runs. Now don't mistake Lili K's saltiness for bitterness though, as she is just as provocative when she's tender and bathing in the brass swing of"One Mo' Time" where she shoehorns her Ella Fitzgerald influence in with lovely character building lines like "I think your face is fine, your features compliment mine", or lamenting over her mistakes and yearning for forgiveness with the string meditative of "Forgive Me". Also add in current single "Tommy" as it continues to the charm the pantaloons off of anyone who takes in its love call and can recall the euphoria of being in the throws of a new crush. Keeping with sound tradition can have its faults as the desire for authenticity comes into question, but Ruby is the rarity in that the influences wear on the sleeves of Lili K and her band, and their ability to interpret and breathe new life into early foundations of the soul and jazz sound are commanding as they are creditable. Ruby does exactly what a great debut album is supposed to do, as it grounds Miss K as a fresh new solo talent, allowing her to shine to her fullest without intrusion, and gives her full permission to just 'be'. Ruby is available for purchase and download via iTunes, as well as ready to stream via Spotify.